I had the opportunity to visit the Royal Academy of Music at the end of 2010. It was a thoroughly enjoyable visit. The impression that the Academy gave out was one of the utmost excellence and the quality of musicianship was of the highest order. To obtain a place at the Academy and Graduate places you amongst the finest. However I did not expect to find the memorials in the entrance hall. I expect many students have seen and acknowledged their presence, few will know the names. I feel that members of the general public will not know of their existence. They are however reproduced below. They are copy-write free, but I would love an acknowledgement if you download them. If you use the on a website a link would be superb. I have a higher resolution image should you need it. They will probably not email, being too big. There were two faintly bemused security/janitors as I photographed the memorials. This is the inscription on the tall green Memorial. Lieut Inns of Court O.T.C. Lieut. 2/5 Royal Sussex Regt." Cpl. 21 Batt. Middlesex Regt. The small grey plaque commemorates those that fell in World War Two 1939 - 1945. The names are " Basil Godfrey BENSTED, Alice Purves FORTUNE, Michael Savage HEMING, Bohdan HUBICKI, Royston Clifford OULSON, Simmon LATUTIN, Muriel Evaline Dorothy SHIELDS-SCHIBILD, David Carl TAYLOR, Douglas THOMSON,, William George BLAND, Raymond Thomas HUNN." 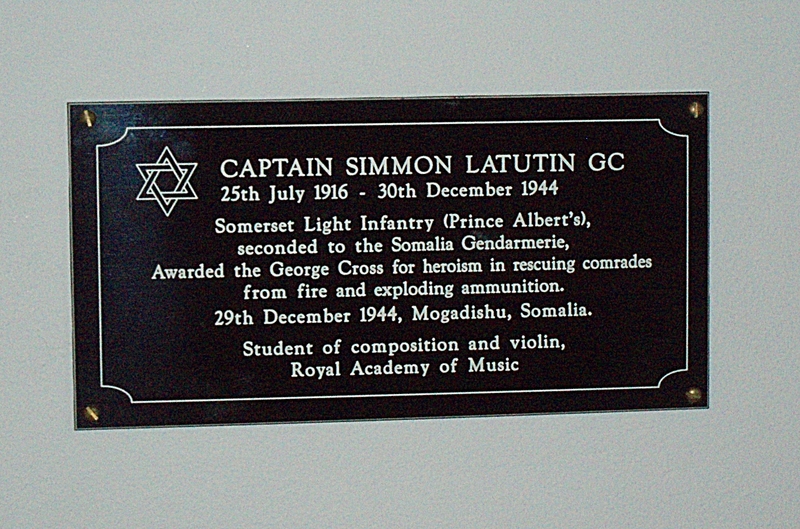 Simmon Latutin has a separate plaque too. There is a biography of Simmon here. 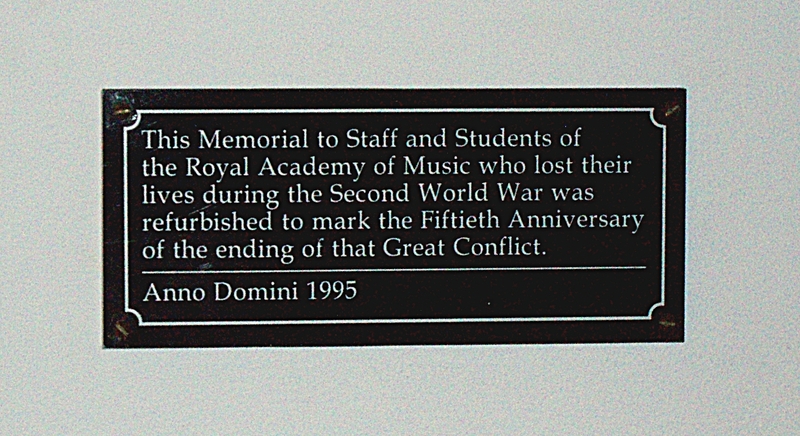 The other plaque mentions the refurbishment that was done in 1995.